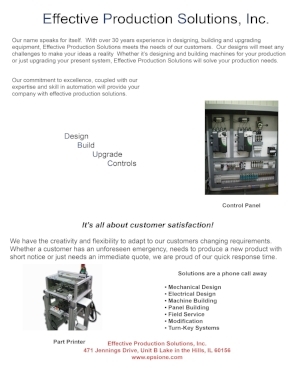 Effective Production Solutions, Inc. is a family run business. Our next generation is hard at work! Effective Production Solutions, Inc. is proud to participate in Marklund’s Second Annual Run, Walk & Roll Bloomingdale 5K/1 Mile fundraising event. 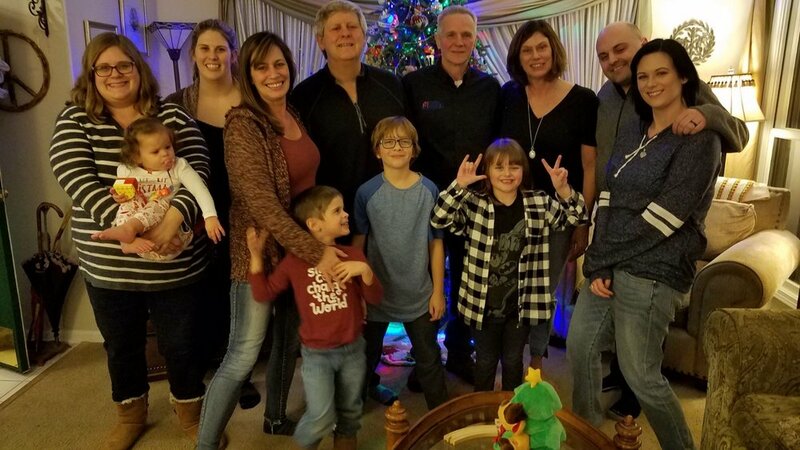 Marklund is a 501(c)(3) nonprofit organization that serves infants, teens and adults with serious and profound developmental disabilities and special healthcare needs. Please consider donating to our team and help make everyday life possible for individuals with profound disabilities. EPSI has recently shipped two custom ovens with hydraulic lift. Happy Holidays from Effective Production Solutions! 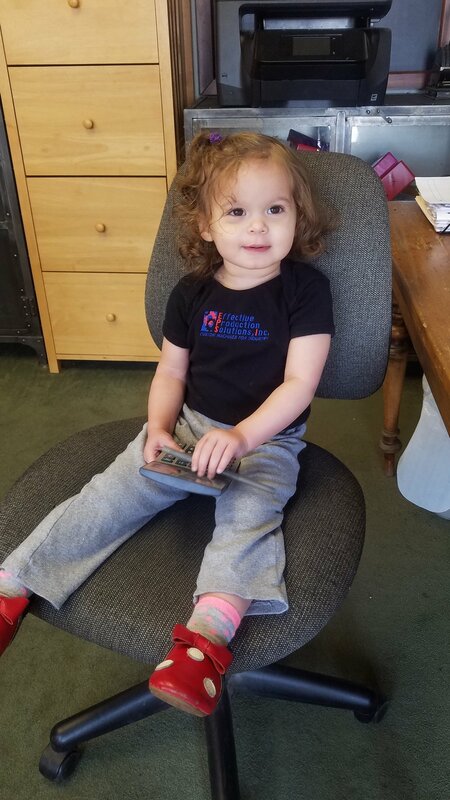 Effective Production Solutions is a family owned business, and we are busy training the next generation! 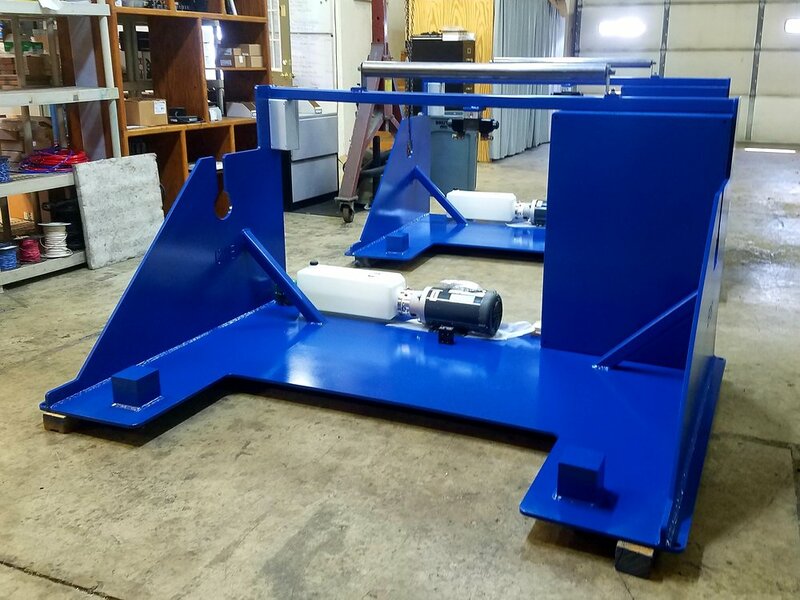 EPSI has recently completed work on an Assembly Machine. EPSI has purchased a new mill to increase our efficiency! EPSI recently completed work on two powered payoffs. EPSI is currently building a fixture that inserts steel balls into a molded part. We are continuing work on two powered payoffs. A customer had a 1980s vintage control system. EPSI was called in to repair the control system with Automation Direct components (Productivity 2000 PLC). EPSI disassembled the old controls, installed and wired the new components, programmed the PLC using PID functions. EPSI had them up and running in three days. The customer was very pleased with the quality , efficiency and quick turnaround time. EPSI is currently building two powered pay-offs. EPSI replaced an ATCON controller with Automation Direct PLC on a clipper spooler. The PLC controls the machine functions including dance position and empty reel speed, programmed through an HMI. 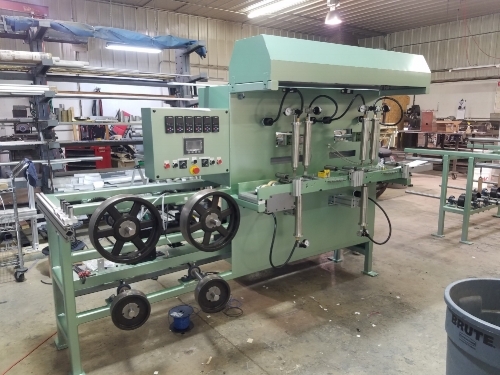 EPSI recently completed work on a Cut to Length machine. A customer needed an upgrade on their previous machine. Contact EPSI for your Omron and Automation Direct system integrator needs! Effective Production Solutions is now an Omron Industrial Automation System Integrator! Contact us for your Omron Robotic needs. Effective Production Solutions is currently completing a training program in robotics. We are excited to offer our customers the latest technology and advances in robotic services! Effective Production Solutions has new services in 2018! 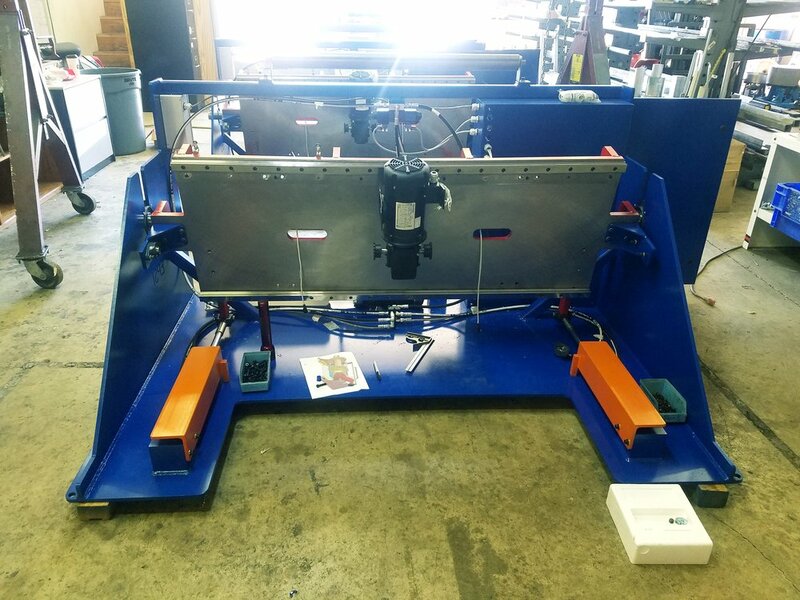 EPSI is working on a custom wire machine. 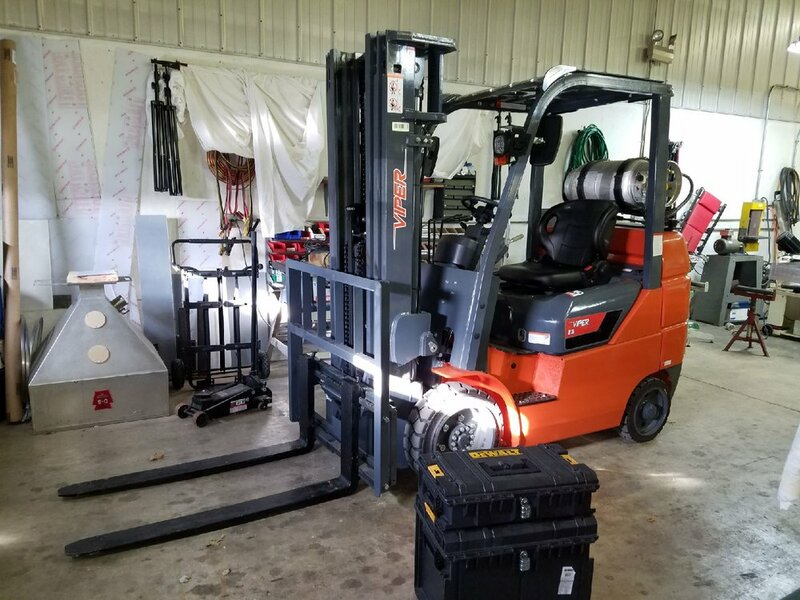 EPSI has purchased new equipment for our shop! Customer purchased modification to wash machine. EPSI designed and manufactured stainless steel guards. EPSI has completed work on wire spoolers! An EPSI customer had a broken color mixer for their extruder. It was brought to our shop where we made and welded parts with next-day turn-around! A customer called about a machine EPSI built 17 years ago. The machine has a worn out shaft (intricate weldment). EPSI is in the process of repairing it this week. An EPSI customer supplied a non-working, 20 year old automation machine that was not worth rebuilding. 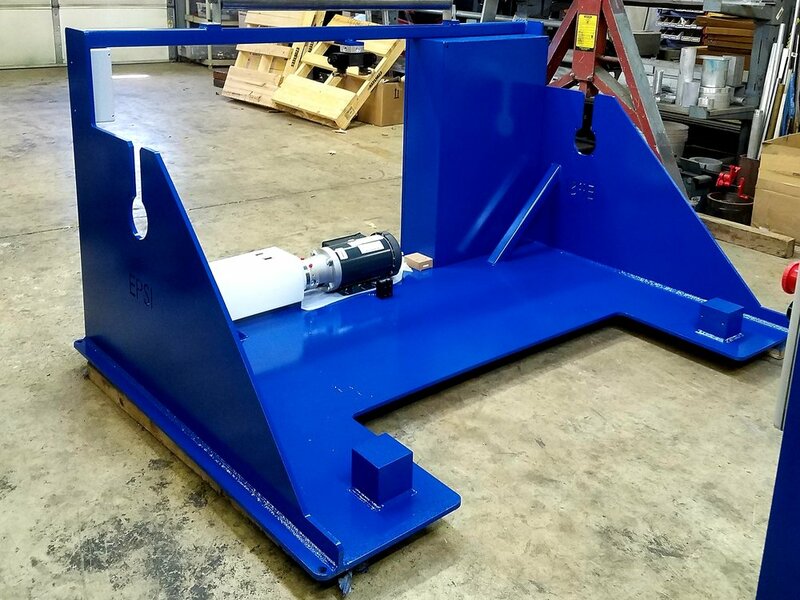 Rather than build a new machine, EPSI built a heat stake and testing fixture utilizing parts from the customer's old machine. Notice the banner opto-touches and safety relay to protect the operator. 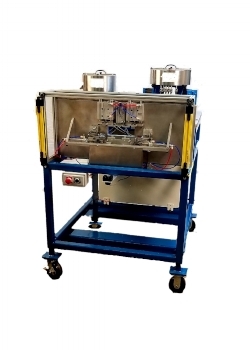 This machines uses low cost automation direct pneumatic valves and controls. Customer requested demo pick and place to load existing cleaning machine. Project requires to pick from a 60 plate palate, load the cleaning machine and then take the finished part and place it into another 60 plate palate. Service Work: A customer called with an early morning emergency. Their German machine with hard to get parts was not working. 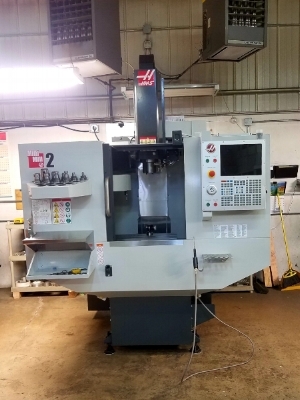 The customer needed this machine to produce product for their new customer. EPSI had them up and running the same day! Effective Production Solutions, Inc. is celebrating 20 years in business! This is a before and after photo of a PLC repaired by Effective Production Solutions. The "before" picture on the left is an Allen Bradley PLC2 that has lost the memory. The "after" picture on the right is Automation Direct Productivity PLC with Isolation Relays. EPSI is upgrading a Hipot Tester, adding additional testing per customer requests. EPSI is currently working on robot programming. 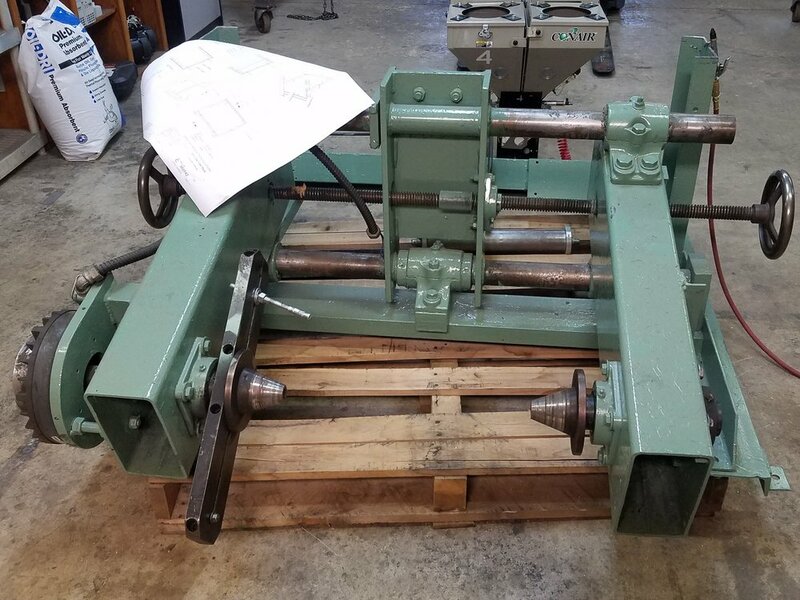 An EPSI customer has an old grinder that is critical to their production. This grinder was designed with an Allen Bradley PLC 2. The memory was lost. 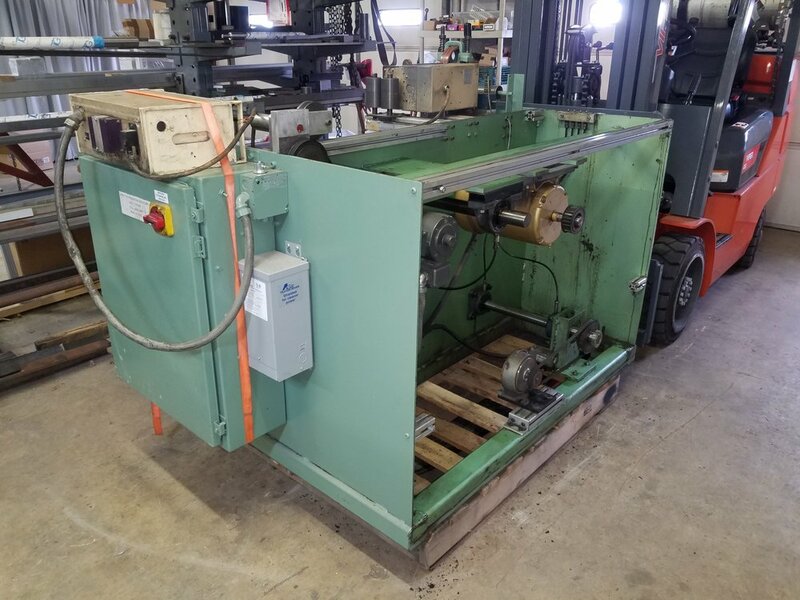 EPSI will replace the PLC and program and debug the grinder to get it back into production for under $10,000 and immediate delivery! EPSI installed a packaging system on a CNC lather including robot and controls. EPSI modified a custom HiPot tester. EPSI completed work on two 6-head powered payoffs. EPSI Service Call: A customer had their Allen Bradley Panel View 1000 fail. EPSI arrived early Monday morning to get the customer up and running. EPSI repaired the vacuum forming machine's infrared sensor. EPSI is in the process of designing a large band-saw. The project is awaiting customer approval for the build. This week, EPSI also designed a packing machine for a lathe. Next week the build begins. EPSI is building two 6-head powered payoffs. This custom-built wire payoff is in the process of being built. Re-programming from scratch is time consuming and expensive. Call EPSI to discuss your back-up needs! Our customer lost his PLC program and did not have a back-up. All his machines have different PLCs and HMIs. EPSI created back-ups for future use. Our customer has a printing machine that has not been run for five years and was recently moved. After reassembly, it would not run. EPSI was called in to fix the problem. The primary machine has an Allen Bradley PLC and HMI. The machine feeders are controlled with an Omron PLC and Omron HMI. EPSI was brought onsite to make the machine run again. Prototype conveyor to catch parts as they are cut from an automated lathe. Parts will be organized and positioned for a robot pick. Effective Production Solutions is a family owned business. Our next generation is ready for training! A large exhibit and display company contacted EPSI (Effective Production Solutions, Inc.) to help with an Automation Direct HMI. The battery had died and they lost the program. EPSI programmed a new HMI and integrated it to their machine with an Automation Direct PLC. Take advantage of EPSI's expertise and have us back-up your program before it's too late! For this Hydraulic Wire Cutter, the operator sets the wire length and the machine pulls the wire and cuts to the length. Control Panel for customer supplied test stand. Test stand operations are controlled through PC based HMI. Data is collected and stored in an Access Database.